Carol Wood, President & CEO, Children's Square, U.S.A.
"Paul J. Strawhecker, Inc. was retained by Children’s Square U.S.A., a nonprofit based in Council Bluffs, to conduct a philanthropic planning study. The results of this study were instrumental in our deciding to move forward with a capital campaign, in setting the campaign goal and in sequencing the projects to be completed. 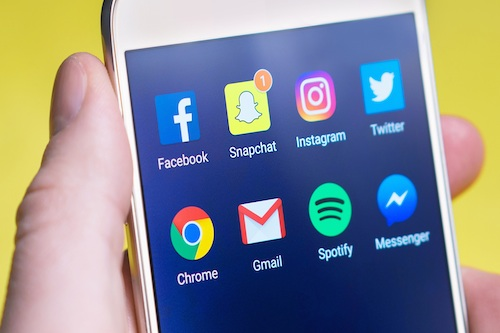 Prior to launching the campaign, Paul’s team worked with us for a year to build visibility, capacity and new relationships that better positioned our organization for a successful campaign, and they continued to work with us in conducting the campaign. Our $9,000,000 Better Spaces, Brighter Futures Capital Campaign is now near completion and the first project funded through it is under construction. The expertise, structure, guidance and capacity-building provided by Paul J. Strawhecker, Inc. were key drivers in our success." "I contracted with Paul J. Strawhecker, Inc. to conduct a thorough assessment of our development efforts last year. Their work was both thorough and timely, resulting in a list of 17 concrete recommendations for improvement. Both Paul and Agne were highly responsive to requests for additional information, and they made themselves available to staff and board members whenever requested. We have had great success so far in implementing the recommendations and I am certain the results will be transformational." "We have always valued your firm’s knowledge of what we do and who we are. It feels like you have our best interests in mind and tailor your recommendations to our unique situation." * Children's Care is now called Lifescape. Barbara Vondras, Director, Dawson County Historical Society Museum, Lexington, Neb. "The firm's knowledge of the nonprofit world, its professional and knowledgeable staff, and relationships with statewide entities made it a most invaluable resource to our campaign. I firmly believe without their counsel, the Historical Society would not have reached our goal in a timely matter, nor would we have raised the amount of funds from such a wide variety of sources. 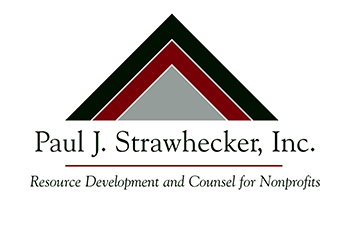 We highly recommend the Paul J. Strawhecker, Inc. firm." Renee Franklin, Executive Director, Social Settlement, Omaha, Neb. “Thanks to Pete (Tulipana) and Paul Strawhecker, Inc., I believe our board is more committed to fundraising and will soon adopt task force structures and accountability measures that will ultimately allow them to continue moving the agency forward." "I really don't know that we could have done this (city park rebuilding) without the guidance of Paul J. Strawhecker, Inc. The work that they did in getting the support and assistance of the city newspaper and community, as well as helping us identify and reach those donors of influence and affluence, was pivotal in making this campaign a success. They did a terrific job, and we would definitely work with them again." "I have worked with Paul and his associates for over six years now finding them always helpful, very professional and committed to reaching the goals and objectives I have set forth." "We employed Paul J. Strawhecker, Inc. in connection with our fundraising efforts for a local regional event center. The Strawhecker firm was extremely organized, efficient and professional. In fact, our group raised more funds than any capital campaign or organization in the history of our community. I recommend Paul J. Strawhecker, Inc. without reservation." "Throughout our campaign, Paul J. Strawhecker, Inc. worked with Seton Catholic to put forth an image of a business-like fundraising operation that attracted donors and volunteers. We attracted donors who had little or no contact with Seton Catholic before the campaign."